1. What is a Coaching Triangle? · A self-selected professional development group of three people. 2. What can I expect to learn? · You set your own goals individually and collectively; then learn how to coach each other to achieve them. 3. How do I become part of a Coaching Triangle? · One person initiates the triangle and chooses to form one. They invite a second person. The two of them together invite a third. 4.What is the criteria for choosing members? · Look for someone you want to learn from or with, for a thinking partner, someone you converse with easily, for someone who challenges you to see things in new ways, a collaborative problem solver, or someone you are curious about. Coaching Triangles can be built for comfort, retreat or to reduce stress; for huge stretches, challenges, and growth; to focus on learning new skills; and for many other purposes such as growing leadership, improving engagement, transferring knowledge; fostering coaching culture, to support continued and sustained learning after classroom learning; or personal and professional development. 5. Once we have a group of 3 people what do we do? · To get started first contact a Coaching Triangle coach, obtain 3 Tri-namics resource manuals, then attend an Orientation session to learn more and experiment with how the triangle works. 6. What support is available for my Coaching Triangle? · The Tri-namics resource manual provides you with an accountability framework and over 100 exercises for triangles to learn from. It is a resource that sparks the learning and coaching dialogue. It is built on the pillars of leadership, learning and coaching. It is focused on reflection, action and innovation. It is also a personal journal for growth and learning. · Your Coaching Triangle coach can provide you with ongoing coaching support should your triangle decide this would be of value. Coaching support simply accelerates your learning. 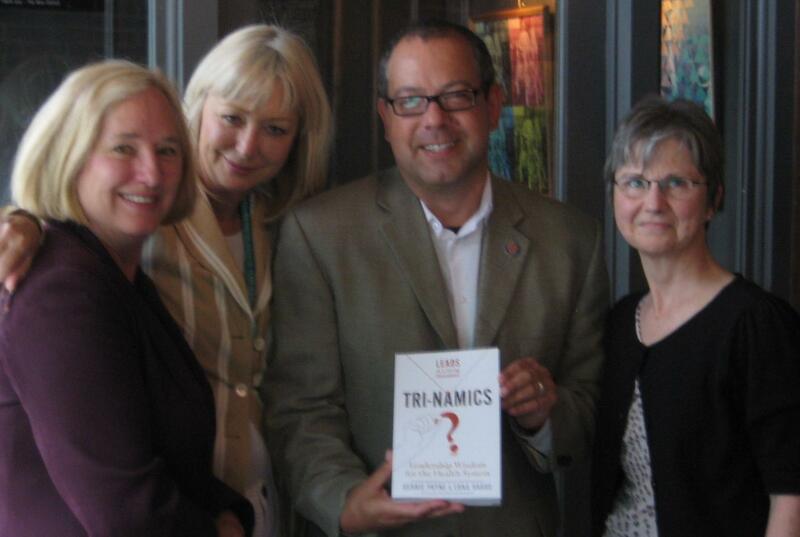 · Tri-namics resource manuals are $49.00 and each triangle member needs their own copy. · Rates for Informational Sessions, Presentations, Orientation sessions, Coaching for the triangle groups, and related coaching or leadership workshops are negotiable. 8. Why is it called a system? · Each triangle group is a system unto itself. It has a natural dynamic relationship built on the power of three that is transformational when used positively for growth and development. · When a critical mass or tipping point of Coaching Triangles are integrated and interconnected within an organization it becomes and organizational learning framework. This self-sustaining system can influence organizational culture.